The Colombo Fort Magistrate has released Bengamuwe Nalaka Thera and six other disabled tri force protestors, today (27). 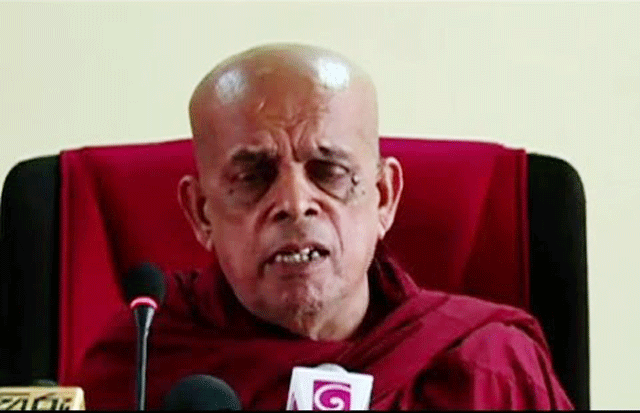 Bengamuwa Nalaka Thero was arrested along with 4 other Theraes and 2 women for allegedly obstructing the public and damaging public property at the protest conducted in front of the Presidential Secretariat office on November 7, 2016. Colombo Fort Magistrate, Lanka Jayaratne had released the convicts stating that police had not filed accusations against the suspects under proper clauses.